Dustin Diamond, the actor who played ‘Screech’ on ‘Saved By the Bell’ was arrested Thursday night after stabbing a man with a switchblade if a bar north of Milwaukee, Wisconsin. According to TMZ, Screech allegedly stabbed a guy after getting into an argument late Christmas evening that quickly escalated, the bar owner says it was over pics they were taking of Diamond. Gee, and I thought it may have been started after a customer asked Dustin to talk like Screech. The 37 year old Dustin Diamond and his girlfriend were arrested shortly after they drove away from the Grand Ave Saloon. 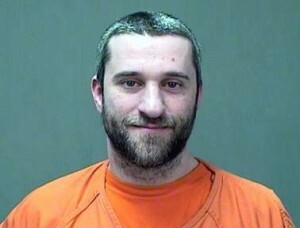 Screech was arrested for recklessly endangering safety, carrying a concealed weapon and possessing a switchblade knife. Diamond’s27 year old fiancee also faces a disorderly conduct charge Diamond appeared in court on Friday and his bail was set at $10,000. His next court appearance scheduled for December 29. Diamond’s public defender could not be reached for comment. Wait, Screech has a public defender? My how the nerdy mighty have fallen. Former “Saved by the Bell” actor Dustin Diamond, who played the nerdy “Screech” on the high school sitcom, has been arrested for stabbing a man with a switchblade at a bar north of Milwaukee, Wisconsin, police said on Friday. Dustin Diamond, 37, and his girlfriend were arrested shortly after they drove away from the Grand Ave Saloon in the town of Port Washington following the altercation on Thursday night, police said in a statement. The man Diamond is suspected of stabbing at the saloon was treated for wounds that were not life threatening and he is recovering at home, according to Port Washington police. Sadly, this child abuse and missing persons case looks like it is going to get much worse. Child not seen since September, but not reported missing until this past Friday, December 13. 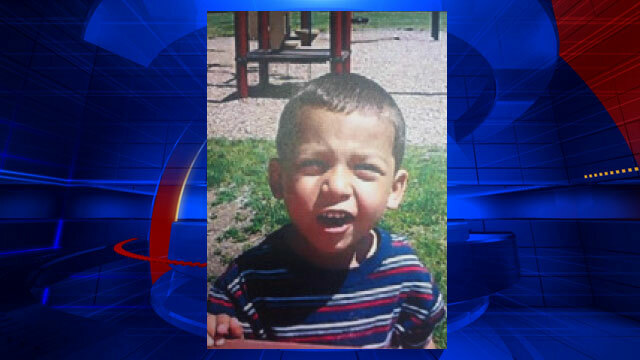 5 year old Jeremiah Oliver was reported missing on Friday, December 13, 2013, in Fitchburg, Massachusetts. However, Jeremiah Oliver was not reported missing by his mother or her boyfriend, but instead by the boys 7 year old sister. The little girl told her teacher at school that her brother was missing. According to accounts, Jeremiah Oliver’s extended family has not seen the boy for 3 months, since September. Nothing good can come from a situation where a mother fails to report her child missing. Five-year-old Jeremiah Oliver was reported missing on Friday, but relatives say they haven’t seen the child since September. Investigators immediately searched the home on Kimball Street in Fitchburg and quickly arrested the boy’s mother and her boyfriend. “I’ve been here for two months. And in the two months I’ve been here, I’ve never seen them,” Ada Santos, a neighbor, said. District Attorney Joseph D. Early Jr. said they learned of the Jeremiah Oliver’s disappearance after his 7-year-old sister told a teacher at school. UPDATE I: The mother and boyfriend arrested and are in custody. Their investigation led to charges against Elsa Oliver, 28 and Alberto Sierra, 22. “That little girl showed a lot of courage doing what she did,” said Worcester County District Attorney Joe Early. Oliver was arrested on two counts of reckless endangerment of a child and two counts of accessory after the fact. She will be arraigned Tuesday in Fitchburg District court. The Worcester District Attorney’s office said if Oliver doesn’t produce the child in court, she will be held in contempt of court. Sierra was arraigned on two counts of assault and battery with a dangerous weapon (knife) in connection to an incident with Elsa Oliver. He also faced two counts of assault and battery on a child causing bodily injury related to an incident with Jeremiah and his 7-year-old sister. He was held without bail pending a dangerousness hearing. UPDATE II: Social worker, supervisor fired in case of missing Fitchburg, Mass. boy. 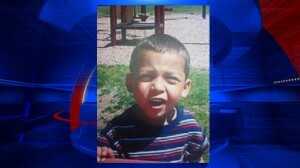 A state social worker and the worker’s supervisor have been fired as investigators try to determine what happened to a 5-year-old Fitchburg boy who hasn’t been seen since September. Anyone with information about the boy is asked to call the State Police Detectives (508-832-9124) or Fitchburg Police (978-345-9648). 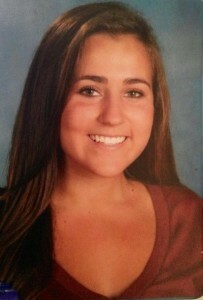 Three teenagers have been arrested for not preventing 17 year old Jane Modlesky, from driving drunk. NBC Connecticut reports, 5 months after 17 year old Jane Modlesky was killed in a car crash, three 17 year old boys have been arrested for not preventing their friend from driving drunk in Glastonbury, Connecticut. Jane Modlesky, a student at Glastonbury High School, got behind the wheel of her parents 2008 Honda Pilot SUV in July 2013 with a blood alcohol content of an unbelievable .27, more than 13 times the legal limit of .02 for a minor. Sadly and predicatively, Modlesky ended up crashing into a tree and dying. Authorities say say the three teenage boys were aware that Modlesky was “highly intoxicated” but allowed her to drive anyway. The teenage boy who was initially driving dropped a friend off at a Glastonbury home, police said, then drove to his own house and got out. Another 16-year boy got behind the wheel and drove to his own house, where he and another teen got out of the car, police said. Modlesky then got behind the wheel and was killed when she struck a tree half-a-mile away, police said. Police determined that Modlesky’s blood alcohol content was .27, which was more than 13 times the legal limit of .02 for someone under the age of 21. Police said the last two teens in the car with Modlesky were well aware that she was “highly intoxicated,” but allowed her to drive anyway. “They very well knew that she was intoxicated and should not have been driving,” said Agent James Kennedy of the Glastonbury Police Department. The first teen to drive the car was charged with violation of passenger restrictions and operating a motor vehicle between 11 p.m. and 5 a.m. He is due in court on Dec. 20. The boy he dropped off was not charged. The second teen to drive was charged with reckless endangerment in the second degree, violation of passenger restrictions and operating a motor vehicle between 11 p.m. and 5 a.m. He is due in court on Dec. 18. The other teen was charged with reckless endangerment in the second degree. So many things could have been done to prevent this senseless death. For starters, parents know where your children are as Modlesky had been at an under age drinking party. Two, what ever happened to looking out for one another? If some one is this falling down drunk, call their parents, call them a cab, do something! A teenager getting yelled out and ground by parents is a lot less then the alternative … Death!